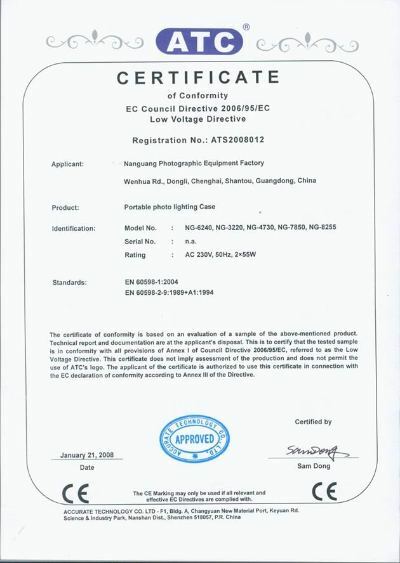 Company Overview - Guangdong Nanguang Photo & Video Systems Co., Ltd.
12YRSGuangdong Nanguang Photo & Video Systems Co., Ltd.
Guangdong Nanguang Photo&Video Systems Co., Ltd was established in1992, which is specialized in R&D, ,manufacturing and sales of On Camera LED Light, LED Studio Light, LED Fresnel Light, Fluorescent Light and Camera Accessories for Video and Photo. 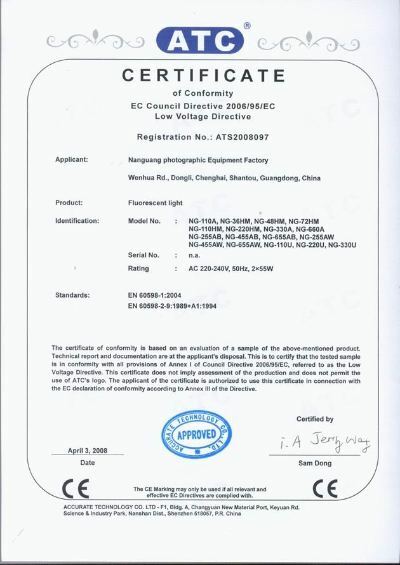 We have more than 200 products and obtained more than 100 patents. 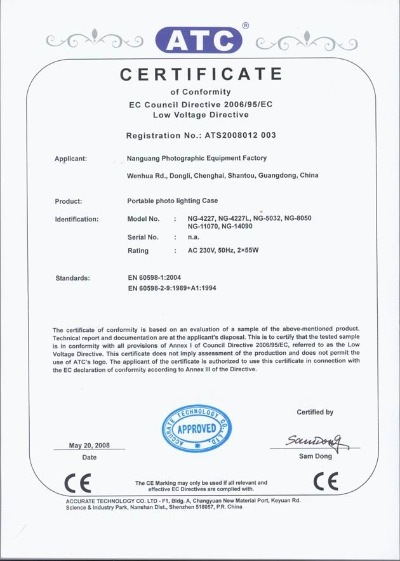 All of our lights are CE certified and can pass RoHS.We are continuously certified by ISO 9001-2008 Certification yearly. After 22 years' growing, "NANGUANG" brand has become increasingly popular all over the world. We have lots of famous distributors and retailers in China, North America, European, Asia, Middle East and South America as our partners. 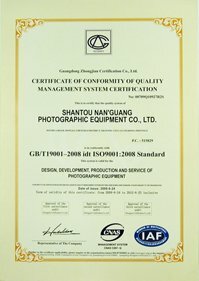 By our excellent quality, "NANGUANG"brand attracts more and more attention from the clients.R & D AbilityThanks to more than 10 dedicated engineers with strong engineering capability and extensive experience in system R & D, we keep developing new products every year to keep up to date with the market. At NANGUANG, we pride ourselves on our ability to meet our customers' needs. If one of our standard products doesn't fit your requirements, we can custom-design a product for you.Manufacturing CapabilityOur factory has about 20000 square meters and about 270 of qualified employees. Our internal company carries out the ERP management system completely and we have rich capital and great capability of manufacturing. Reliable production ability guarantees us to finish orders with a large quantity in a shorter time. Quality GuarantyNANGUANG is confident to provide customers with top quality products as we have solid flow of Production Material Control (PMC), In-Process Quality Control (IPQC), Finished Product Quality Control (QC) and Delivery Quality Assurance (QA). To provide you with an extra level of protection, we check our items piece by piece prior to shipment. Sales TeamOur professional sales team devote to giving clients first-class services. Your demands and suggestions will be replied at the first time. We hope "NANGUANG" will become your best-selling brand and sincerely looking forward to being business partners with you.